Two-day event brings devs and geospatial tools together to find new solutions. Developers at HACKtheMACHINE were tasked with discovering cybersecurity vulnerabilities of shipboard systems. Talented and innovative software engineers, data scientists, and security researchers teamed up over the weekend of September 21–23, 2018, in Seattle, Washington, to participate in HACKtheMACHINE. The hackathon, presented by the Naval Sea Systems Command (NAVSEA) and cosponsored by Esri, was held to work on some of the most challenging problems facing the United States Navy in its mission to protect sea, air, space, and subsurface domains. NAVSEA hoped that by exposing its interesting problem set HACKtheMACHINE to a largely untapped talent pool, it could gain new perspectives and develop innovative digital capabilities. HACKtheMACHINE participants used ArcGIS APIs and software developer kits (SDKs) to bring a geospatial context to maritime security situations that were the focus of two of the tracks at the event. 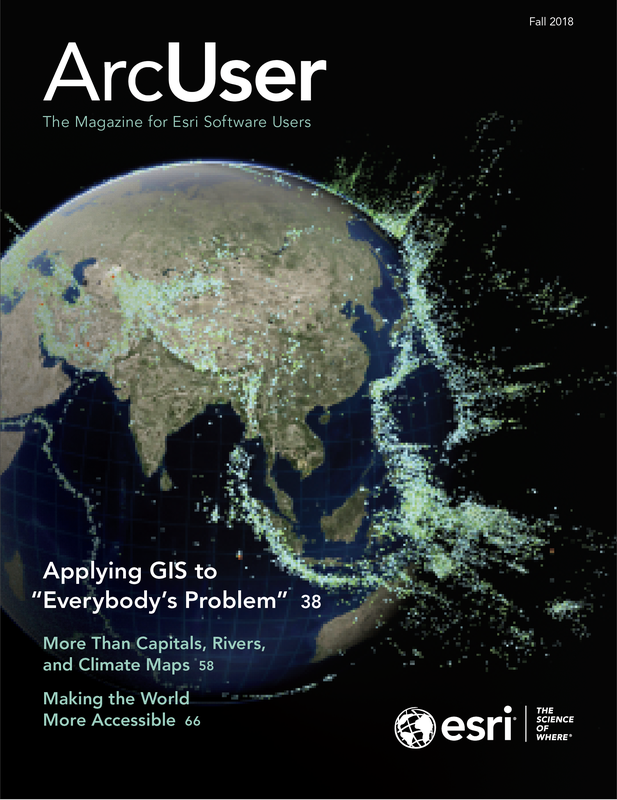 Teams that developed innovative uses of the ArcGIS platform received annual ArcGIS Developer Subscriptions. The Data Science and the Seven Seas track focused on the navy’s use of artificial intelligence to better use the technology in its ships and submarines. Participants in this track used data from ships under way on the high seas to develop algorithms to assist the navy with preventing collisions of human-operated and autonomous vessels. The Hack for the Oceans track addressed the navy’s need for the app development community to support its new onboard service architecture and help coordinate with local and regional organizations during humanitarian and ecological crises. Participants put themselves in the position of first responders after Hurricane Katrina in 2005. 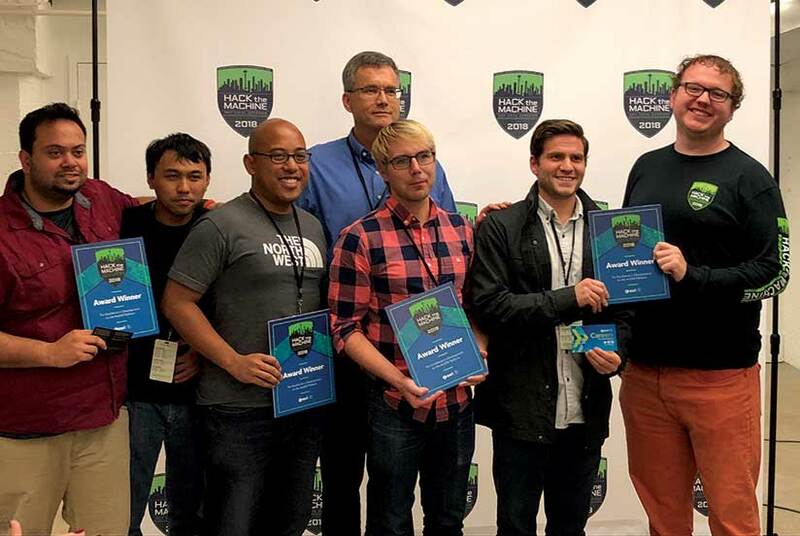 The team of Abhi Banerjee, Mark Chuna, Kevin Africa, Andrew Nicholls, Austin Krauss, and Jared Anderson won the award for excellence in development on the ArcGIS platform. Curt Hammill of Esri stands behind the team. Abhi Banerjee, Mark Chuna, Kevin Africa, Andrew Nicholls, Austin Krauss, and Jared Anderson were on the winning team. They had recently graduated with data science degrees and were participating in HACKtheMACHINE because they are looking for jobs. Although they had no prior ArcGIS experience, they built a data science analytic pipeline with ArcGIS Pro in just 28 hours and presented their findings using an Esri Story Maps app. ArcGIS gave the team functionality that was both valuable and accessible. “Certain data is impossible to inspect without a tool like ArcGIS,” said Krauss. 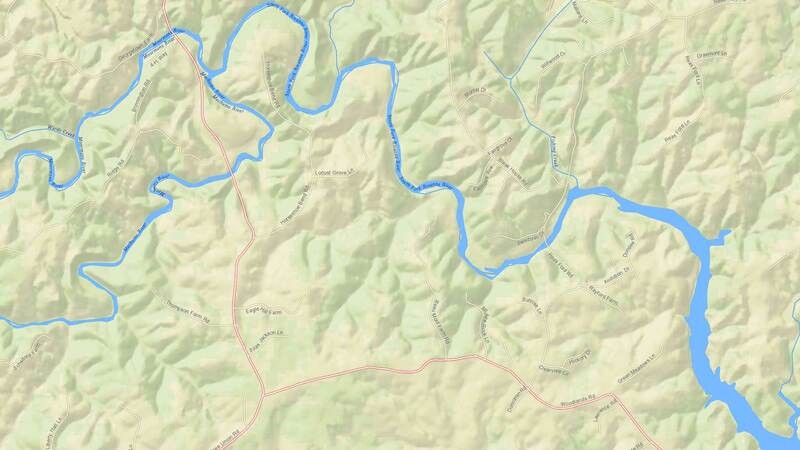 “I was impressed at how easy it was to connect my data into ArcGIS,” said Banerjee. Hackathons have been around for nearly 20 years, and in the last decade, many have focused on ways to improve government. While these gatherings can’t solve the world’s problems in a weekend, these events expose problems to fresh eyes, yielding new approaches to problem solving—and that does have lasting value.